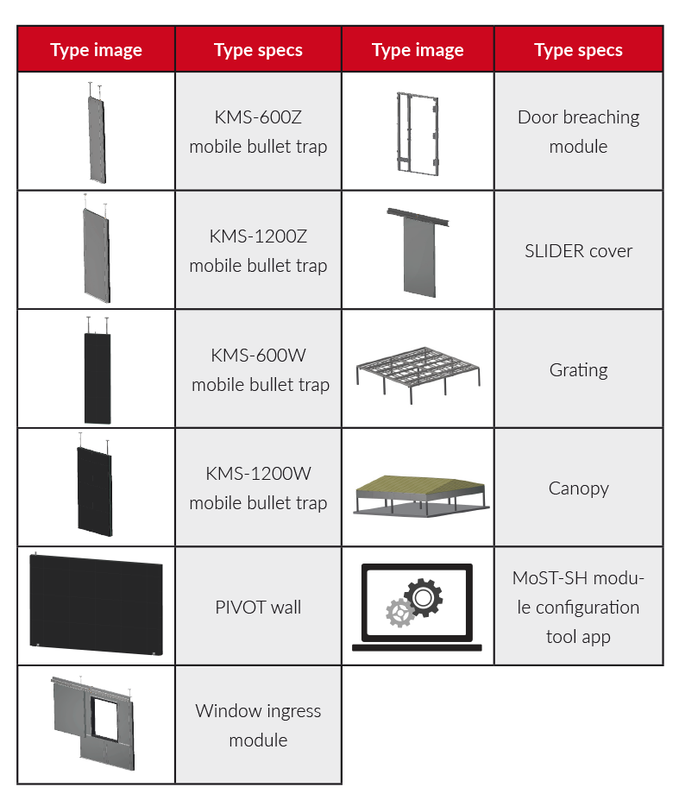 A modular system for live ammunition shooting training. 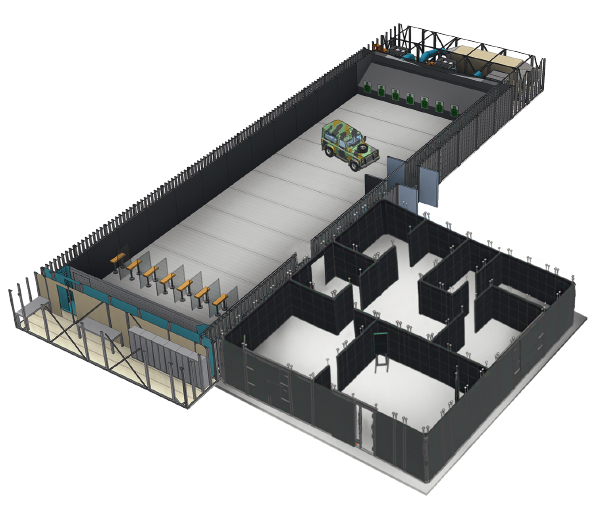 Available as a fully customized, sheltered training room: a shoot house, an outdoor shooting range, an in-vehicle combat training site, etc. Supports training difficulty scaling, variations in scenario conditions, and challenging CQB training situations. 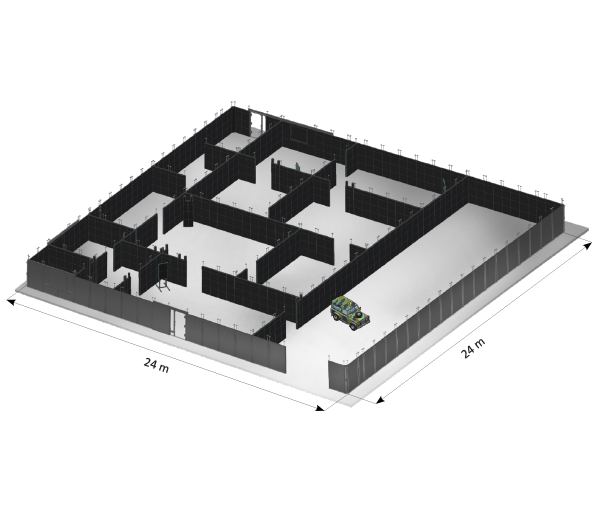 Deployable as a training facility with near-life-like operating conditions. Supports live ammunition training with the maximum projectile muzzle energy of 3600 J. 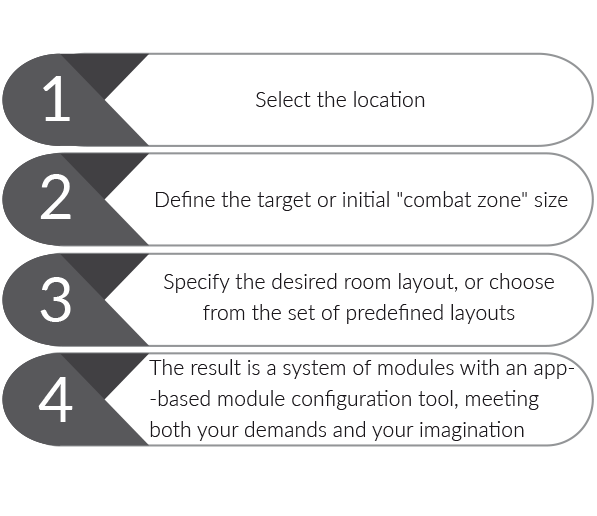 The modular design enables deployment in stages over time.